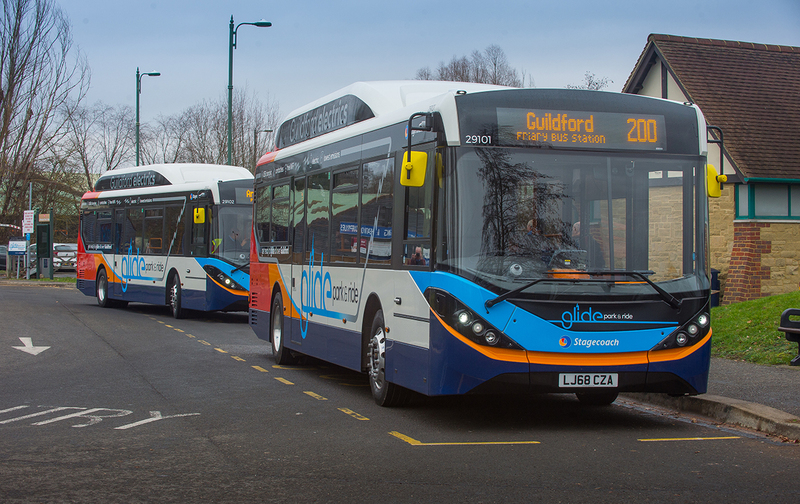 Nine 10.8m pure electric buses have been supplied to Stagecoach South together with charging equipment for use on park and ride services in Guildford. Importantly, these are the first buses supplied by the partnership to Stagecoach Group which, with 8,000 buses and coaches, is one of the largest public transport operators in the UK. Arthur Whiteside, ADL’s Managing Director for UK Sales, said: "We are delighted to support Stagecoach South and Surrey County Council in their introduction of clean, zero emission buses. With passenger-centric interiors and excellent onboard amenities, they will further enhance the attractiveness of Guildford as a destination and place of employment in the regional economy." Speaking at the launch event in Guildford today, BYD’s UK Country Manager, Frank Thorpe, said: "The entry into service of these vehicles means that our joint enterprise has now supplied advanced electric buses to the majority of the major bus operating groups in the UK and, as with all of our customers, we have been able to provide much more than the bus. Our know how has assisted in the provision of the necessary infrastructure, including BYD built chargers."